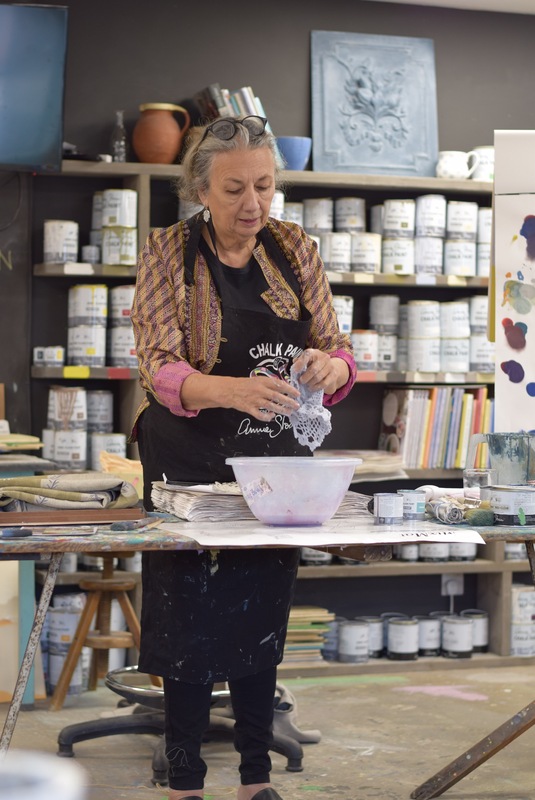 Annie studied fine art at university in the mid 70’s, her degree lead her to decorative work and by 1987 Annie had written her first book called The Complete Book of Decorative Paint Techniques which turned out to be a huge success. 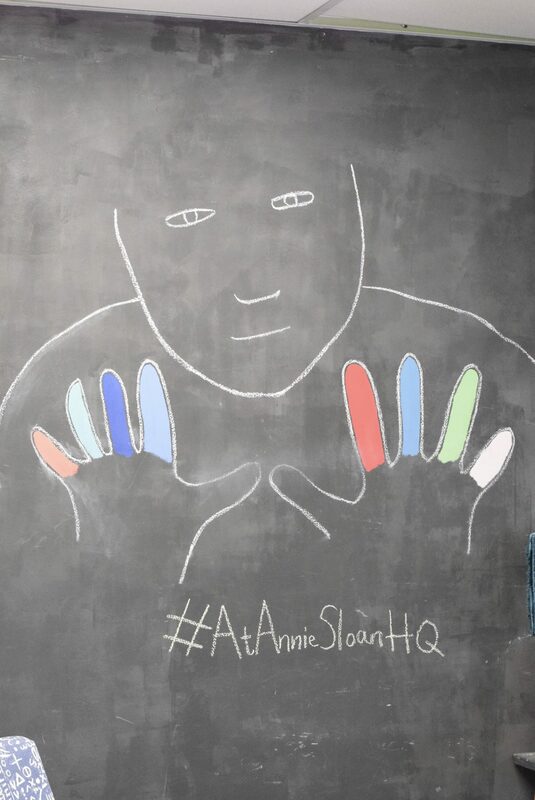 During this time Annie found a flaw in the industry when she was unable to find the paints to aid her creations. 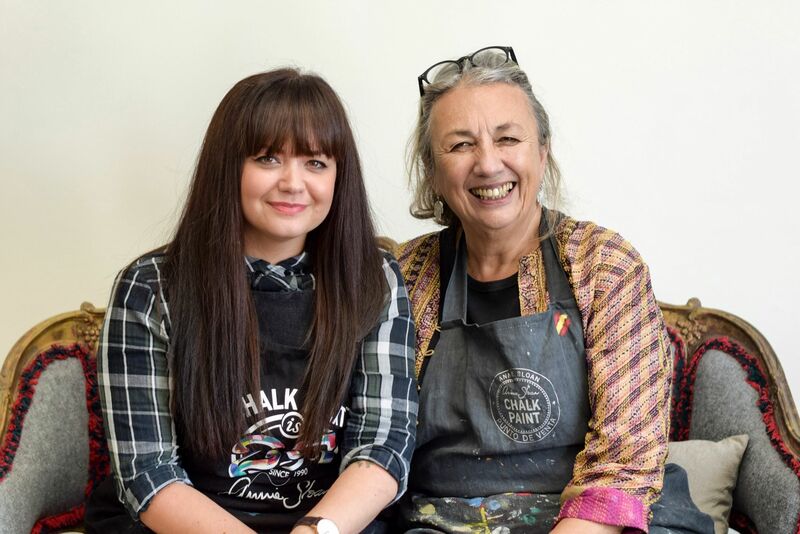 That’s when Annie decided to put her degree in fine art where she had gained knowledge of paint, colour and pigments to good use and create Chalk Paint est 1990. 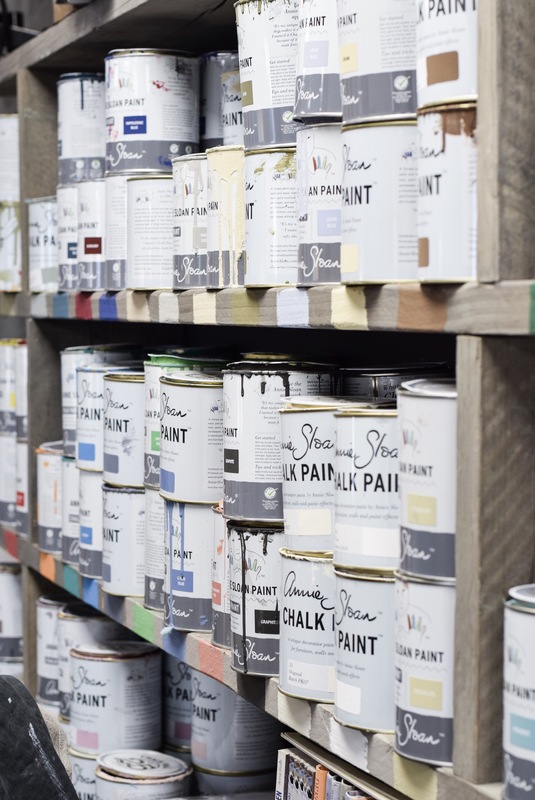 Chalk Paint has been designed to paint on almost any surface with very little preparation. 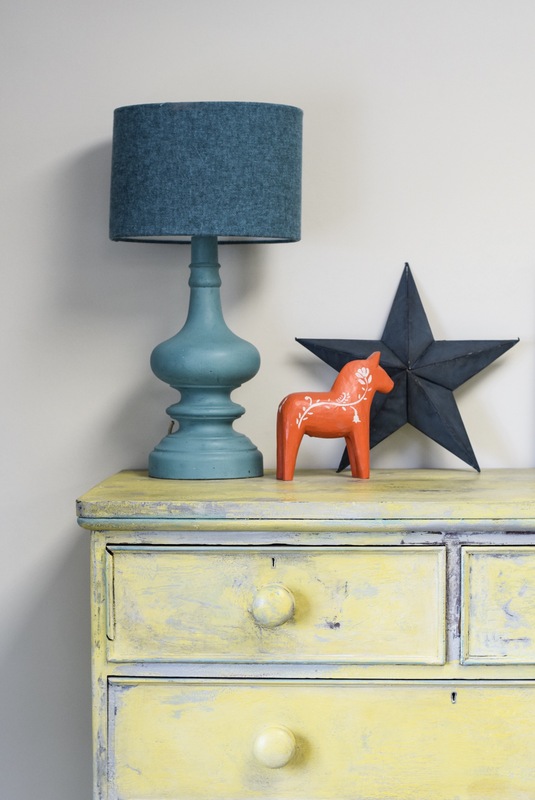 Contrary to belief the chalk paint actually gets its name from the finish rather than the content itself. 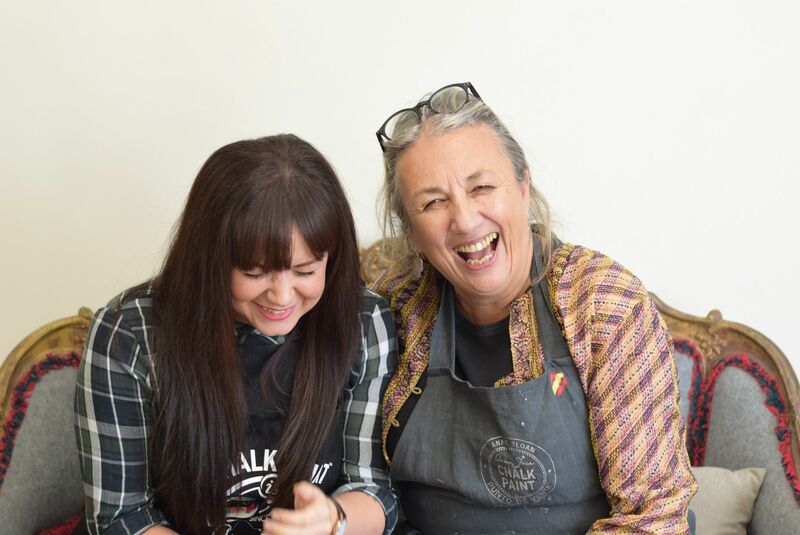 Just over a week ago I was invited to join Annie at her headquarters in Oxford along with other bloggers and business women to a workshop where we would be taught by Annie herself. 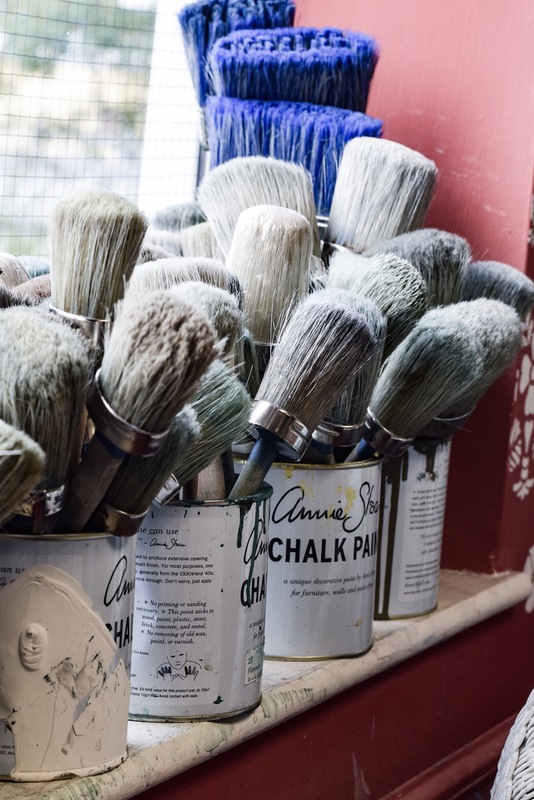 I have been using Chalk Paint for years so I was in my element throughout the entire day. 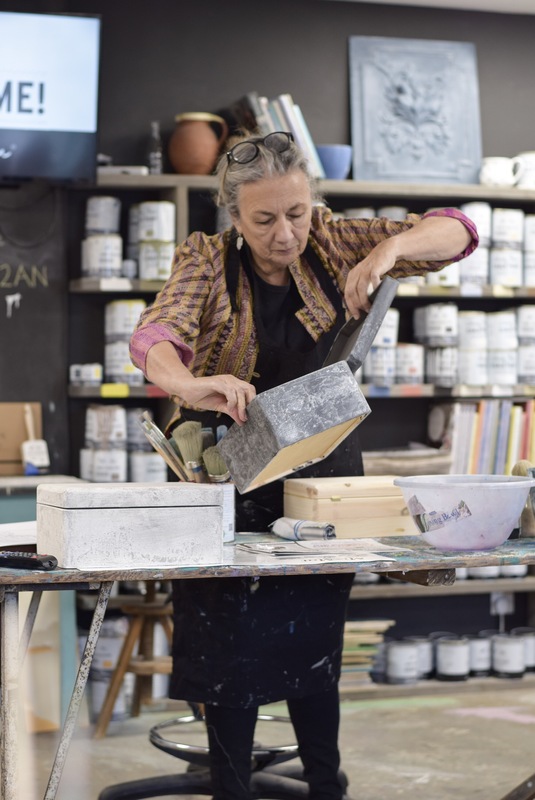 When we arrived, after a bit of networking we all sat down at tables laid out with various Chalk Paint colours, a selection of brushes and a wooden box each. 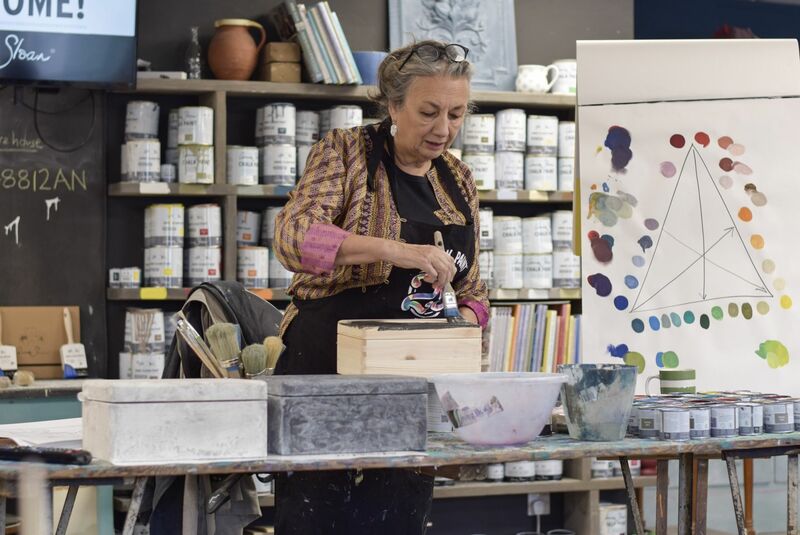 Annie showed us how to create a marble-esq texture by painting and waxing the box, adding a layer of watered down paint in a contrasting colour and then placing a sheet of newspaper over it whilst wet. When we removed the paper it revealed a really unique pattern, and even though we had all followed the same process, our boxes were all different and personal to us. 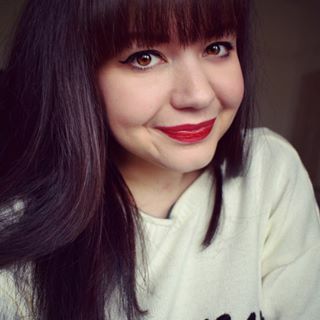 Annie then talked about her recent trip to Africa and an incredible collaboration with Oxfam. At the time it was top secret but now that the news has been announced it’s safe for me to talk about it. 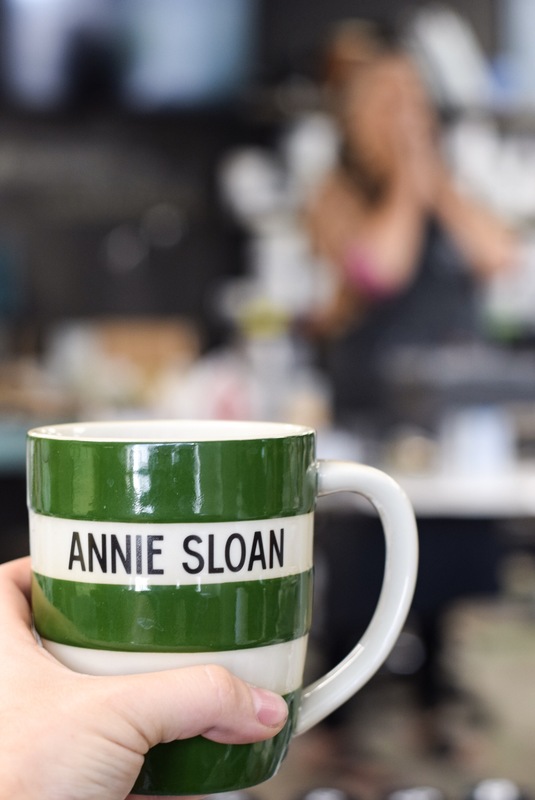 Annie worked with Oxfam to create a brand new exclusive colour. She showed us slides of photos taken on her venture to Ethiopia, which captured the beauty of the country and it’s residence, rather than the negative images that you often see in the press. Inspired by fields of Allium’s grown by women farmers, who are supported by Oxfam’s Ethiopian Seed Project, helped Annie to create the perfect colour for the collaboration. Allow me to introduce, Lem Lem. Lem Lem is available to buy now from your local stockist. 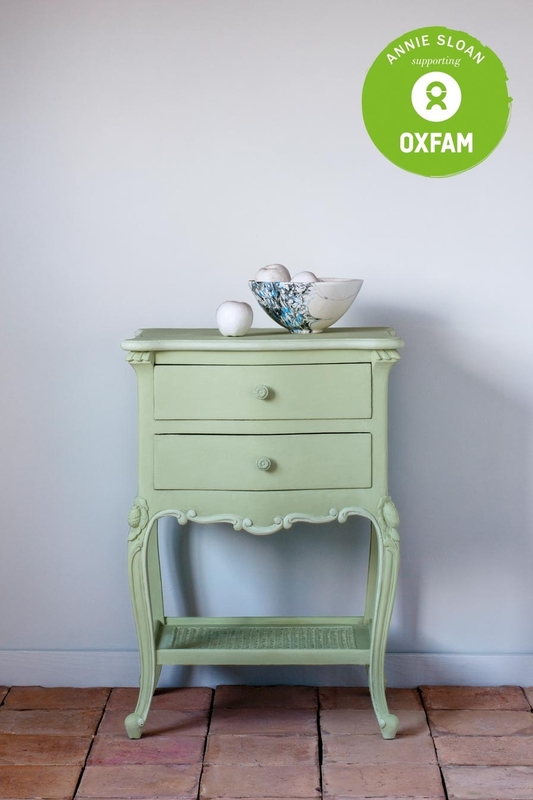 Annie Sloan has committed to raise £250,000 for Oxfam over three years. Lem Lem will be sold across the world for a three year period and donations will vary from different countries. After a delicious lunch we went back up to the workshop where we were handed sheets of paper with a kitchen and living room scene printed on them. 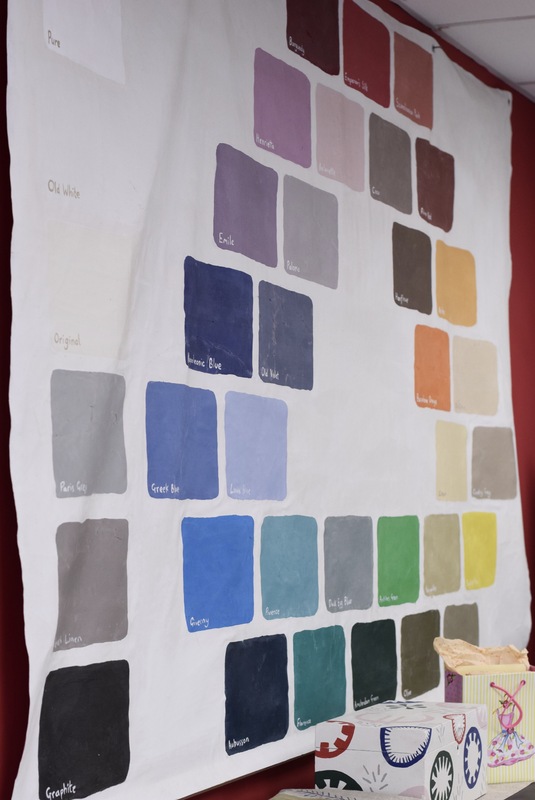 We were then encouraged to step out of our comfort zone and use the Chalk Paint and fabric swatches to inject colour in to the rooms that we wouldn’t typically use. 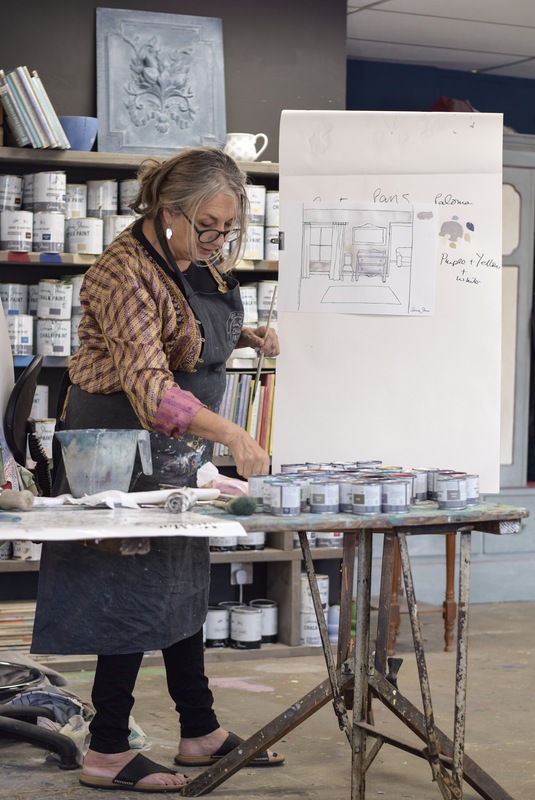 Annie also showed us how you can use her chalk paint to not only paint pretty much anything, including concrete floors and plastic surfaces but how to stain leather and fabric with it too. Genuinely, the possibilities are endless. The workshop was probably one of my best highlights this year. It was such a brilliant day and being able to share it with like minded people as well as being mentored by such an inspiring, down to earth lady who has truly mastered her niche was unforgettable. 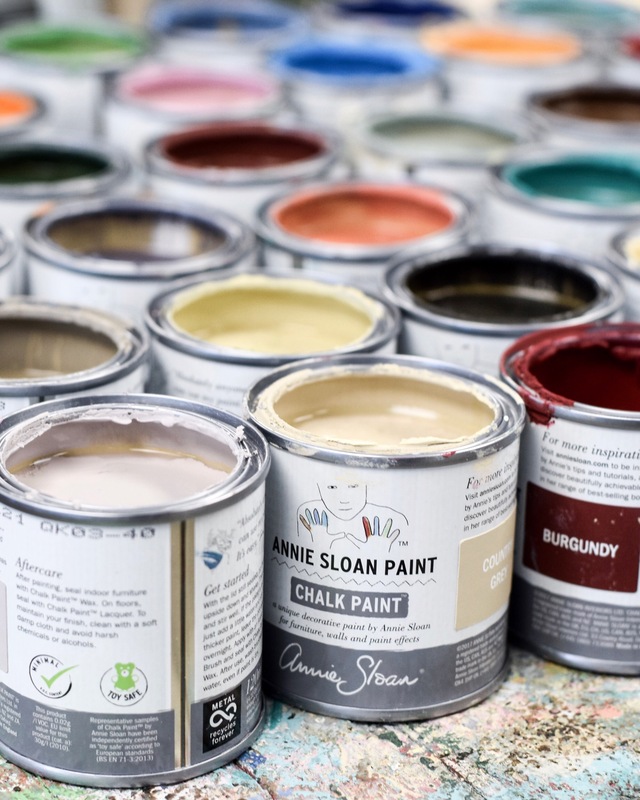 If you have never used Annie Sloan Chalk Paint before then you seriously need to. 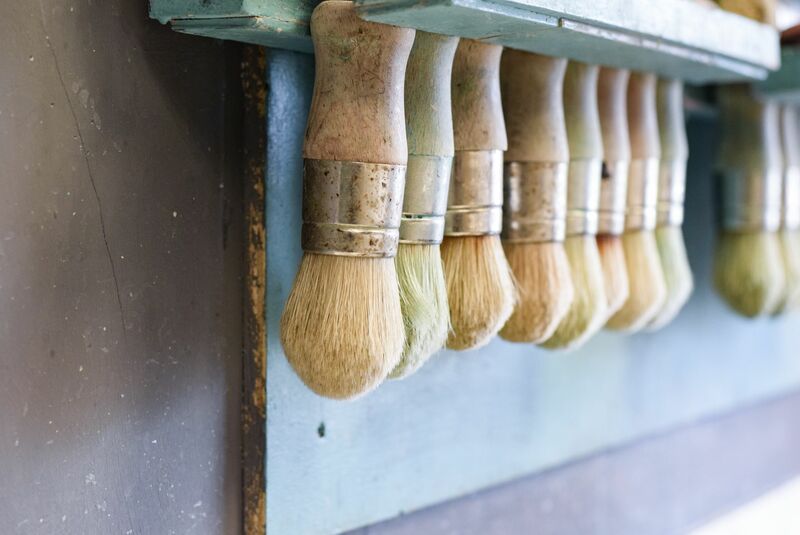 Have a look around your home and before you think about replacing something, try transforming it instead. Not only will you save money but you will gain a great sense of satisfaction from it too.